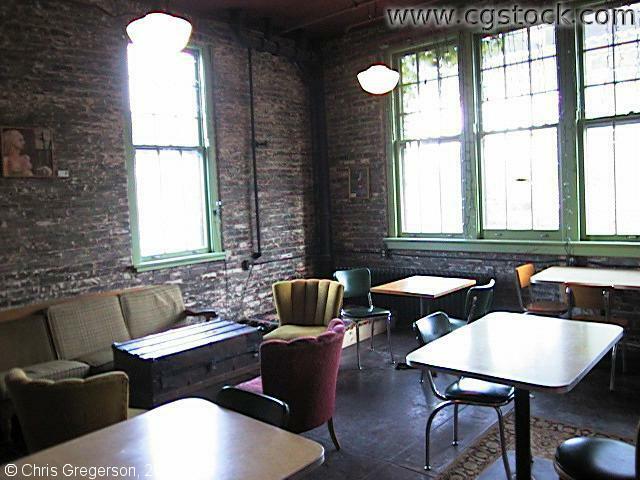 This is the interior of the Mill City Coffee Shop. The counter is behind you. The front door is just out of frame to the right.